Hi Murees - that's a great shout out for Tyrean ... and I'm sure teachers/parents etc will find the information useful .. and great to have the first few lessons free at the website. Thank you, Hilary. 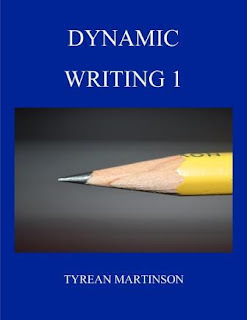 Tyrean is wonderful and I'm sure many students will benefit from her lesson plans. Glad everyone has been spreading the word for you. Don't stress the title. It will come to you. Thank you, Alex! You are always so amazing and encouraging. All of my WIPs go through three or four titles before I finally hit on the right one. Like Alex said, don't stress because it will come to you. Congrats to Tyrean—her book makes me wish I were still teaching. Thank you, M.J. I have started writing a few title ideas. Tyrean is so awesome and hard working. Thank you! I've been really bad and neglecting my blog:) But it's helped me get to know so many great people, such as yourself. Tyrean's book sounds like a good one for middle school kids. Thanks for the shout-out, Murees! I really appreciate it! I know that titles are tough, but I'm sure that one will come to you through the process of revision. You are very welcome! It was my pleasure:) I have a few titles in mind, but like you said, the revision stage will help me decide. Congrats to Tyrean on her new book. And to you, too, of course. I still love your cover! Congratulations on your book, Tyrean. It sounds great for students. Best of luck to you. Tyrean is a gem!! Love her. And good luck with beta reads and writing! Thank you, Rachel. You getting back into writing is fantastic news! Yay! Congrats to Tyrean! She rocks. So cool for Tyrean! And it looks like your release is going well. I was honored to be a part of it! Thank you. I'm the one who was honored to have featured on your blog:) You are so kind. And grats on your release! I've seen you around the blogosphere. I wish you a great deal of success! Yay for blogging love and a renewal of blogging energy! Thank you, Arlee! You are awesome! Congrats to Tyrean! I hope you're having a great weekend, Murees! Congratulations, Tyrean. You had a great idea Best wishes with your new book. I'm so happy that it was helpful for your son. Tyrean is really amazing. Woot, woot! Nothing beats launch season.